WARNING: This is a family friendly movie. A VERY family friendly movie. Toddlers and small children were enthralled at the screening I attended. Kids (and their parents) broke out in spontaneous applause. There was no talking. However, they LOVED the snapping that the kids did in the film to show excitement or as a visual exclamation point. LOVED. They copied it right then and there in the movie house. As an adult, without a kid in a tow, I found it hilarious. As a parent who has dealt with an impressionable child, I would have been annoyed. However, we all know that they will get over it quickly and hopefully retain the story of Fiona Mutesi (Madina Nalwanga). 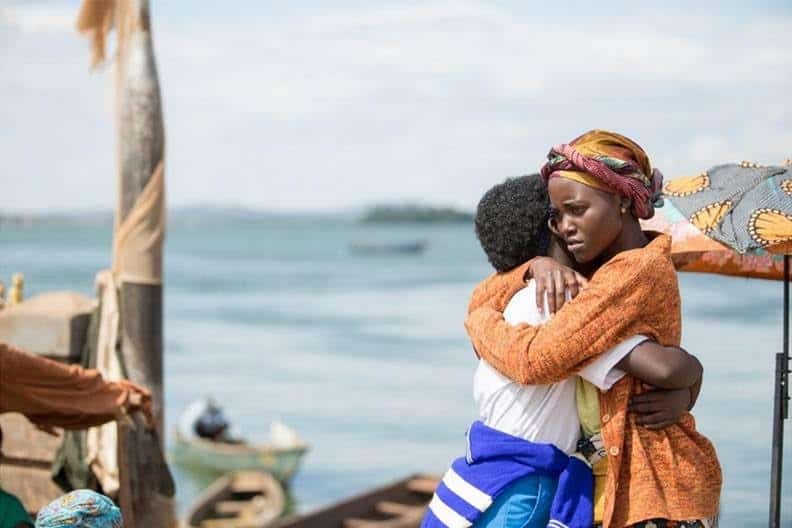 Also be sure to check out our favorite Queen of Katwe Movie quotes! Fiona is an uneducated young girl living in Uganda selling maize. Her story is not so different from others in her situation, except that she senses something better for herself. She finds it in the Pioneers, a chess program run by Robert Katende (David Oyelowo). Through training, she becomes highly skilled at chess and is able to travel and experience a whole different world then her village provides. Directed by Mira Nair, it focuses on the strength of Fiona and her mother, Harriet (Academy Award winner Lupita Nyong’o). The story is based on a true story and it is sincerely inspiring. Make sure to stay for the credits. The inspiration continues when you meet the real men and women that the story is based on. That is one of the best parts of the film! 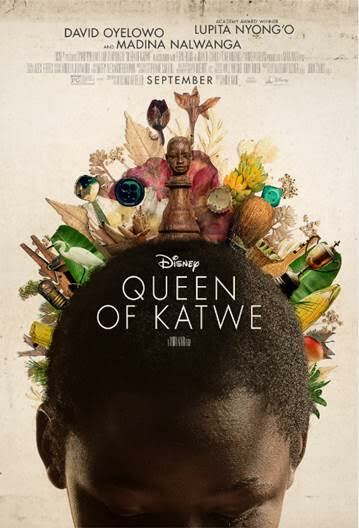 Queen of Katwe is playing in select theaters NOW! Purchase your tickets today! This looks like a great family movie, I think all of my kids would really enjoy it! I’m really excited for this movie. We need more films that are appropriate for the whole family. I have read a lot of good stuff about this movie. I think this movie would be a perfect family movie. It would teach kids to go after their dreams and to appreciate the hard work and sacrifice their parents make just so their children would be able to succeed. This sounds like a really great movie! Hopefully it will come to Norway soon so I can check it out! I’m glad you noted that little kids could go. I have a nine year old and probably woulnd’t have gone, but now that you said that, I think i will!